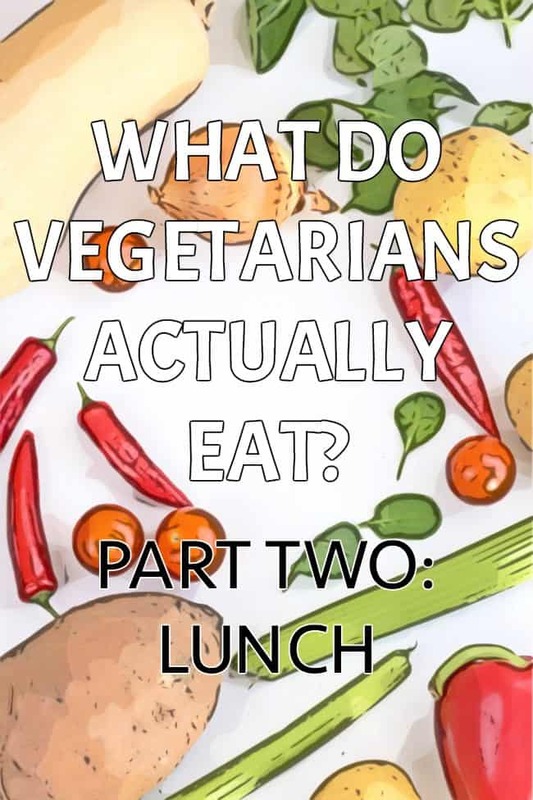 I thought it was about time for part 2 of my ‘what do vegetarians actually eat?’ mini-series. It’s lunch time! If you missed all my breakfast inspiration, check that out first – then come back for lunch. Firstly, if you’re a vegetarian and you’re constantly asked ‘what do you actually eat?’, you now have a place to send people! It’s a pretty obnoxious question (depending on context, obviously – I’m sure there are some well-meaning people who are genuinely curious, and that’s fine! ), and it’s one that’s asked all too often, so hopefully these blog posts will give you an easy response. Secondly, I hope this little series will help out any vegetarians (or anyone else!) who need a bit of new inspiration. 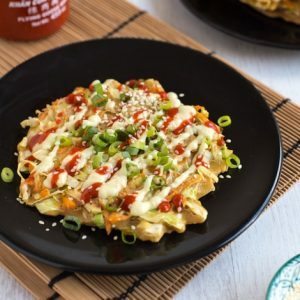 If it wasn’t for this blog, I’d probably eat the same ten meals on rotation – it’s nice to not have to think too much when cooking. But it’s also nice to eat a varied diet! So hopefully you’ll find some new ideas here. The idea of this post isn’t necessarily that you come away with specific recipes in mind – more just that you get some new ideas for the kinds of things you could make / eat for lunch, and feel inspired to try something different this week. Let’s get right down to it! I’ve split this post up into a few sections to make it easier to navigate. What do vegetarians actually eat for lunch? – chickpea salad sandwiches, which I make differently every time – any combination of veggies works nicely. 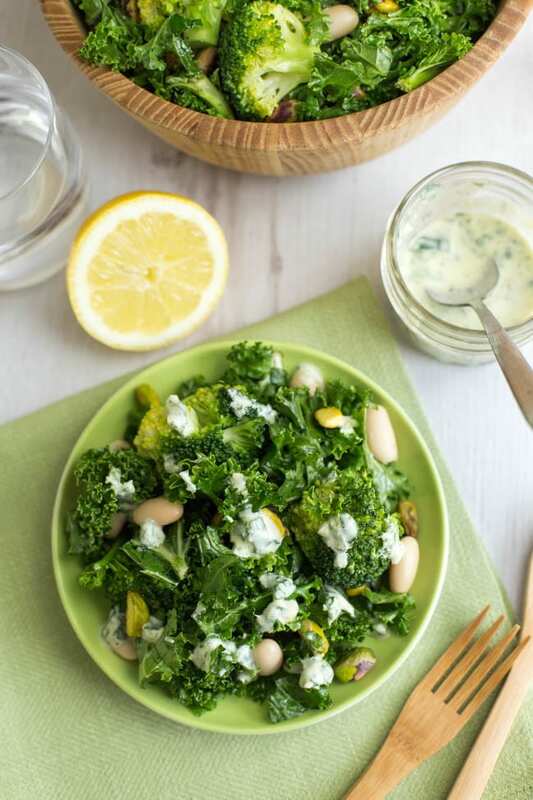 Avocado chickpea salad is a favourite too, as is this creamy lemon version. – wraps – use your favourite sandwich fillings, but with a bit less bread. – bagels, croissants, baguettes, baps, muffins (this kind not this kind! ), or any other kind of bread you fancy, filled with your favourite sandwich fillings. Some combinations will work better than others! 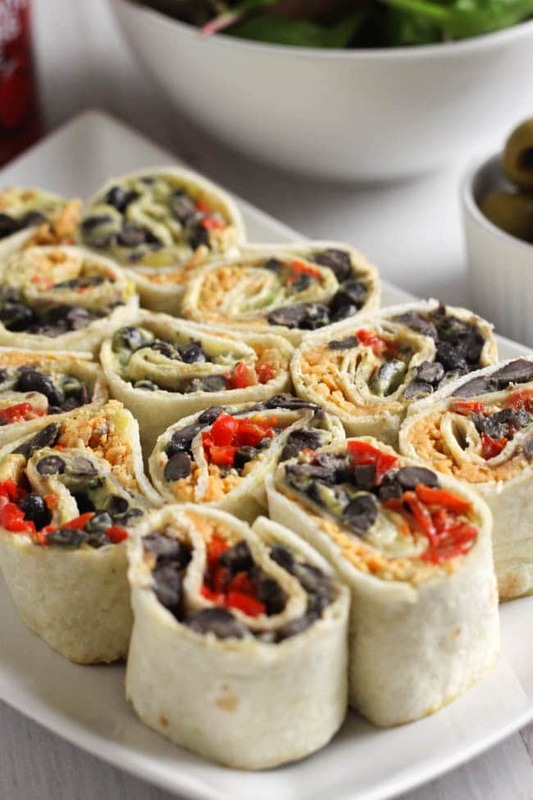 – tortilla roll-ups – little bite-sized nibbles that you can fill with whatever you fancy. These are definitely one of my favourite options. 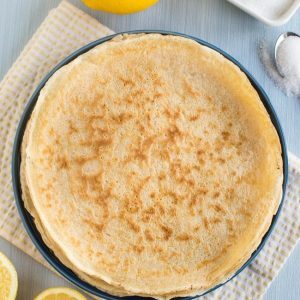 – or if you want to avoid bread altogether, my low-carb cauliflower tortillas are a great alternative and work with all sorts of fillings. Soups are a great way to use up whatever you have in the fridge. Make a big batch each weekend, and eat it through the week – you’ll have no more wasted veggies, and a healthy lunch ready to go every day. Start with a leafy green – lettuce, kale, spinach, etc. Add beans or nuts for protein, plenty of other veggies for flavour, and grains for bulk. Finish everything off with a tasty dressing. Depending on your ingredient choices, they can also be served warm or cold. The possibilities are endless! Here are a few. – lettuce wraps – a great low-carb option! – roasted chickpeas – great with salad or just as a snack. My favourite is pizza roasted chickpeas! Do you have any other easy vegetarian lunch ideas? I’d love to hear, so feel free to share your ideas in the comments below! Tell me – what do vegetarians actually eat for lunch? They’re so tasty, you definitely should try them! 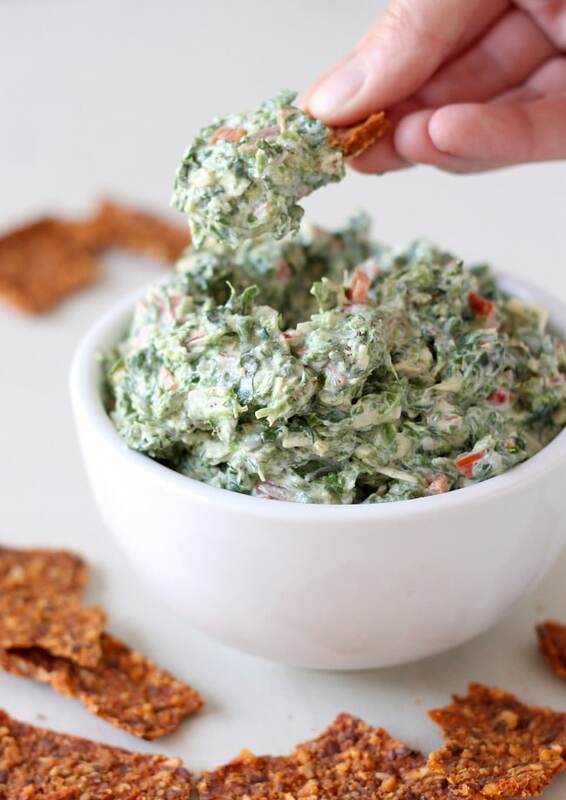 This is a great post full of so many cool recipes!! Thanks for sharing. 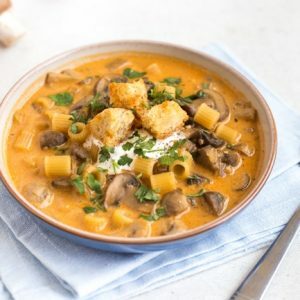 Soups are completely brilliant for when we are having meat free days. Of course, beans on toast is a favourite in this house – I can’t imagine how other people with 3 kids manage if they don’t do Beans on Toast! Beans on toast is so underrated! Need to make it more often. What a great vegi round up. Some really yummy meals there I could eat over and over. 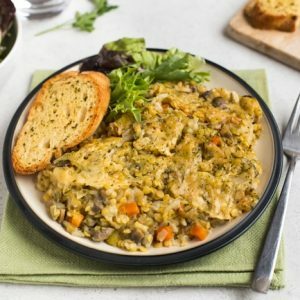 I spent 6 years vegetarian and made just as wonderful meals, I would make 2 versions. One with meat and one without and always created such gorgeous meals, even the vegetarian option everyone loved! Mmmm yum! 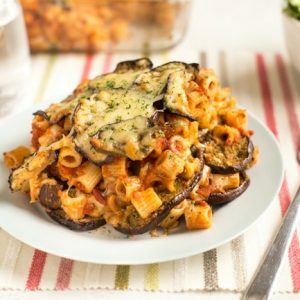 A gorgeous collection of recipes! I really ought to eat more vegetarian meals. Ooh, there seems to be a lot of delicious vegetarian meals. I’ve considered becoming a vegetarian a few times. Such a great all round post! Included so much! I’m not a vegetarians but I do often eat a lot of no-meat lunches although most of these seem a lot more extravagant than what I eat, can’t go wrong with cheese on toast! Lovely looking dishes for vegetarians here. So handy. So many wonderful vegetarian dishes! I’m not a vegetarian but I don’t eat meat often, I really prefer eating vegetarian dishes! the pics look delicious I would eat any of them! I have friends who are vegetarian and they say its the healthiest way of life! I really struggle with how to serve vegetables or eat more vegetables in a unique way. These are such great ideas and sound so tasty too! Great series, there’s so many silly misconceptions surrounding what we eat! What a great series! I hate when I get asked that question!! I eat veggie most days (not by conviction, just because it is tasty and also better for the environment), and this post just gave me so many new ideas. I can’t wait to make food later! I love this Becca – I often get into a rut with the same meals and there’s SO MUCH inspiration here! SO much choice here. I don’t understand how people don’t know what vegetarians eat haha. It’s such a bizarre thing to have trouble with, but I really do get asked this quite often! I guess if people are used to meat and two veg, it can be hard to figure out what to make when you take the meat away. i love all the veggies in here (esp the sesame kale!). 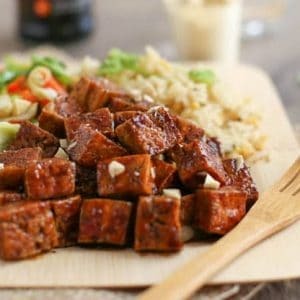 and the double hit of protein from the edamame and tofu sounds perfect; i end up hungry an hour after lunch if i don’t get enough protein. I want those tortilla rollups in the top photo. Like right now. They are one of my absolute favourite lunches! They’re dangerous though, it’s so easy to say ‘just one more’! I absolutely love this! I often try to go meatless for a day and have such a hard time! Thanks for the suggestions…perfect!! My go veggie lunch is hummus with carrot sticks. I love these ideas for changing up my mid day meal! All of these are lovely and delicious! I was vegetarian for 8 years and I was constantly asked “what do you eat?” (it was hard not to be sarcastic). 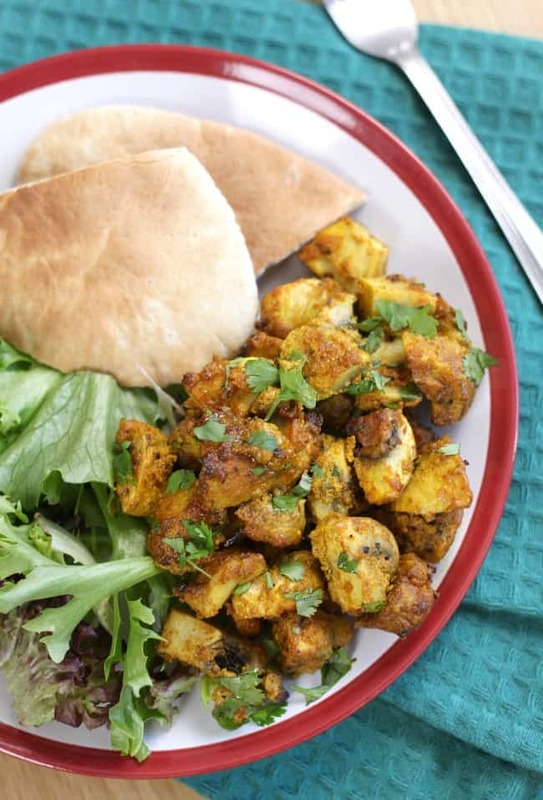 I practically lived on Indian food, it’s a wonder I didn’t turn into a chickpea! 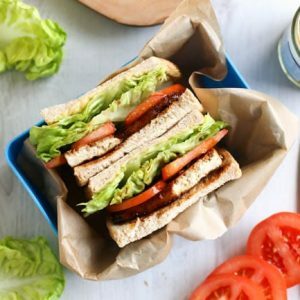 I am literally bookmarking this post for inspo because I always eat peanut butter sarnies and I want to change it up a bit! 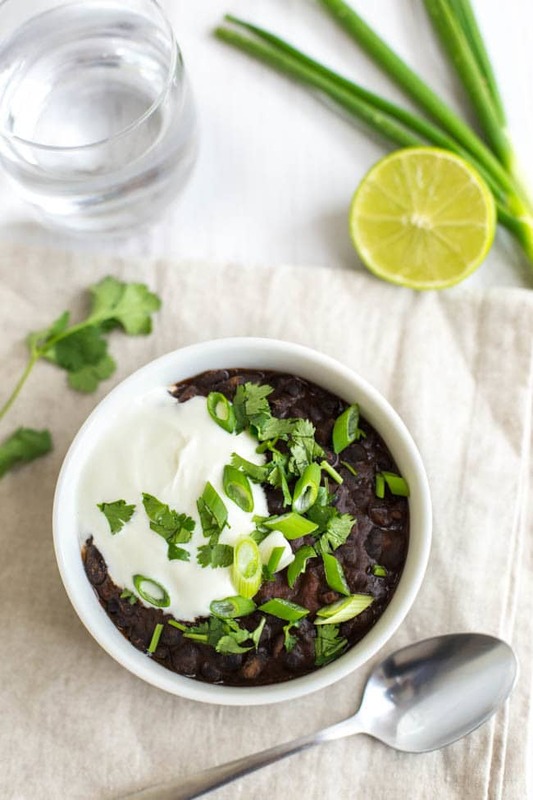 Bean based soups are a real lunch fave around here – that hit of protein and fibre is so great at the middle of the day! Such a great list of vegetarian lunches Becca! My favourite vegetarian lunch is probably hummus and cheese sandwich but I also love chickpea salad. Ooh I think we can actually get those Amy’s burritos in the UK – are they worth trying? Well, I do like them! I usually put some hot sauce on them, but they are pretty good! Really nice to have something yummy and fast!